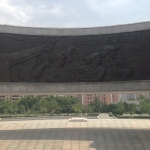 Before returning to Pyongyang we visited the Koryo Museum in Kaesong. 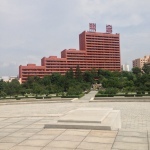 This museum houses many relics from the Koryo period. 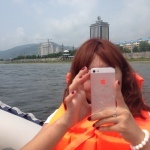 At that time Kaesong was the capital of Korea (the whole peninsula). 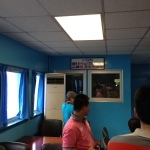 After leaving the DMZ our guides took us to Kaesong to have lunch. On our way their our guide explained how the culture of side dishes worked in the DPRK. 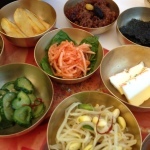 If you’ve ever eaten in a restaurant in South Korea you’ll know they fill your table with side dishes before you’ve even ordered. 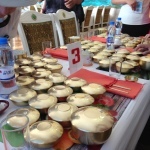 In North Korea the number of dishes shows how important of a guest you are. 11 dishes means you are the most important guests in the building. 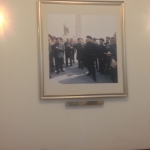 As we were entering the restaurant I bumped into an old friend I met on the train into the DPRK. We shook hands and shared pleasantries. Unfortunately once inside they seated our tour in our own private room. I guess they wanted to cater to Chinese and Westerners in different ways. We sat down and counted the number of side dishes. Eleven. Eleven side dishes for honoured guests. Then our guides asked us how many of us wanted to try dog soup. 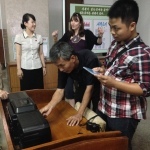 Our Vietnamese friend was first to say yes. Most people wanted to try it. I wasn’t so sure. I grew up with a dog. He was my best friend and when he died I cried like I’d lost a close family member. You either understand this or you don’t. To me eating dog was akin to cannibalism. But my curiosity got the better of me. I reminded myself that dogs were a farmed animal here and that it was a particular species they ate. It wasn’t like they were dragging people’s pets off the street. We decided to order 3 and share them between us. I managed to try a single spoonful. It tasted like soft spicy beef. And guilt. 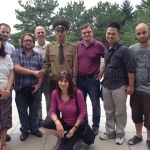 On our second day in North Korea we travelled to Panmunjom, the heart of the Demilitarised Zone. 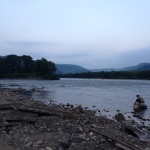 This would be the second time that I’d been here, the last time being from the South. 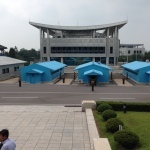 We had to set off early to get to Panmunjom. One of the tunnels on the road down were under repair meaning we would have to take a detour. We had drank quite a bit the night before, so I dragged myself out of bed with barely enough time for breakfast. 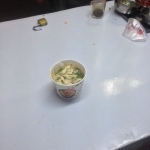 I still managed to get some food in Restaurant Number One before we had to catch the bus. 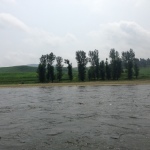 Once we hit the road I noticed something about the North Korean countryside. There were a lot of dragonflies. I have a minor obsession with them. Growing up in the UK there were always dragonflies around, but they have been dying out in recent years. Except for some areas of the UK they are pretty rare now. 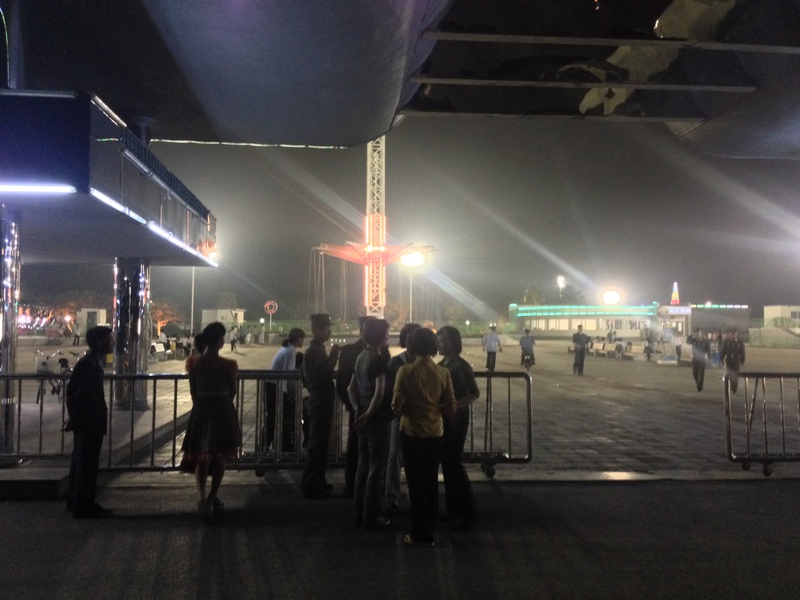 After some time travelling we stopped at what seemed like a North Korean service station. 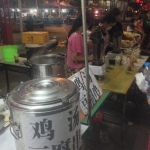 Hot tea, noodles and various other snacks were for sale on the side of the road. I got talking to an old Chinese lady who had North Korean heritage. She was here to reconnect with her heritage. There were many other Chinese tourists on this road with us. 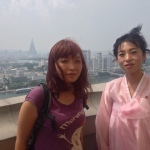 Tours in North Korea are pretty popular with the Chinese – many of their families have history with the Korean War. We went back on the road and continued going through mountain tunnels. There are two main things they don’t want you to take pictures of: farmers and military activity. 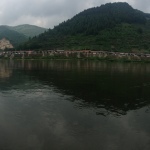 So it was a shame that we couldn’t take any photos of the countryside during our detour around the damaged tunnel. 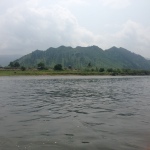 The countryside was beautiful, with rice farms stretching out to great mountains in the distance. Every home we were close enough to see had a vegetable garden out the back. I didn’t see any livestock farmers – the only cows I saw were beasts of burden rather than food. There was also a fair amount of military activity out here. At one point we drove past a soldier carrying a rocket launcher and our guide jokingly told us it was a ‘toy’. 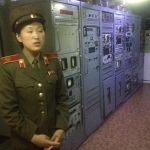 Our guide had mentioned earlier during the tour that the DPRK was focusing on miitary build up for two main reasons. The first being that the military could help construct new facilities all over the country. The second was so the country could protect itself from outside invasion. We got back to the main road and there were only a few more tunnels before we reached the checkpoint. 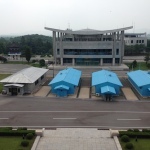 There was a shop here selling Panmunjom souvenirs. There were several Chinese tourists here waiting for their turn to go through. I only saw one or two other Western tourists. I decided to buy a T-Shirt with the DPRK flag on it and the words Panmunjom. Later I would wear this to work, failing to take into account that my boss was South Korean. That was an awkward situation. 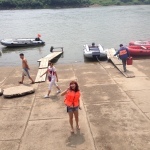 Eventually it was our turn to go through the checkpoint and our tour guides gathered us up. Our guides told us to line up and gave instructions on how to cross the checkpoint in single file. Once through we would be in the Demilitarised Zone. 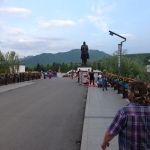 Our first stop in the DMZ was the North Korea Peace Museum. There are two buildings here. The first building was constructed to house the signing of the Armistice Agreement between the North and the South. This was an agreement to cease all hostilities, but not a peace treaty. This means that the Korean War has technically never ended. When we entered this building we could see the table where they signed the treaty. 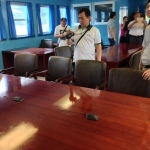 The guides directed the Chinese tourists to one side of this table and the Western tourists to the other side. They explained, first in Chinese, that the US and South Koreans were on our side and the Chinese and North Koreans were on the other side. Separating us was to add to this effect. After taking some pictures shaking hands with our fellow Chinese tourists across the table we moved on. The next building was more of a museum. 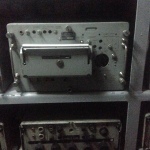 It housed a copy of the Armistice Agreement amongst many other war relics and photos. There wasn’t that much to see here, but there were some interesting historical moments captured on film. 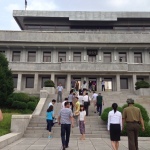 Our next stop was Panmunjom itself. 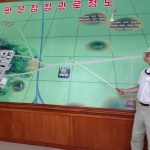 This is the spiritual center of the DMZ, the place where the North and the South watch each other like hawks. On the road down I spotted the giant DPRK flag staring across at the South Korean flag. Last time I was here our US tour guide told us that there was a competition to see who could build the biggest flag. I think the DPRK is still winning this one. 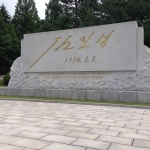 On our way to Panmunjom they briefly mentioned the axe incident. We were given a much more complete story in the South. It makes sense that they wouldn’t talk too much about it here though. The story isn’t too flattering to the DPRK. It was still surprising for me to hear them mention it at all. 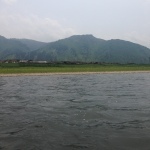 When we arrived we met the General who would show us the area. 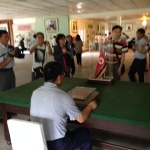 He led us to a commemorative plaque that had Kim Il-Sung’s signature carved into it. He then led us around the corner and as I spotted the blue buildings I realised where I was. I was looking forward to seeing the South Korean soldiers again. But the south side was completely empty. No soldiers, no people, nothing. If there was anyone watching the area they were well hidden. My first time here there were Soldiers everywhere. Standing guard, watching the North, protecting the South. Now I started to feel that it was a show they put on for tourists. We went down to the blue buildings. 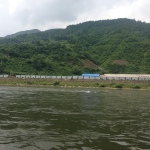 These buildings are placed across the border. 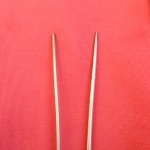 Their purpose is to facilitate meetings between the two sides. 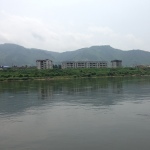 Inside these buildings is the only place you can safely cross the border in the DMZ. 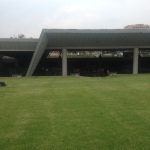 We entered the building to the left (this would be on the right from the South). Inside a couple of soldiers stood guard and the flags of the various nations involved in the war hung on their respective sides. Then we all went to South Korea. Technically. 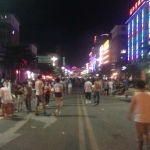 We left the blue building and headed back up the steps towards Panmungak. 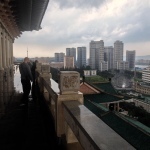 This three storey building had an extra floor added to it so that it was taller than South Korea’s Freedom House. 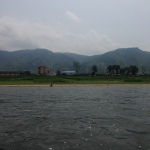 The UN forces decided not to extend their building any more because they didn’t want two empty sky scrapers in the middle of nowhere. 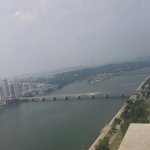 We went into Panmungak and straight up to the balcony so we could get some good pictures of the area. We also went for a group photo with the General himself. Is this where they’re hiding? 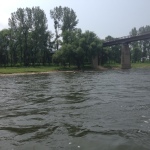 The surprising thing for me during this trip was how relaxed everything was during the tour. When we visited from the South we were constantly reminded that we were in a warzone. If we didn’t follow orders then they would shut down the tour and send us all home. 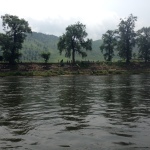 They told us stories of people who crossed the border illegally and got shot by North Korean soldiers. We were only allowed to take pictures facing North. I remember feeling nervous. I felt like anything could kick off at any time (even though I knew it wouldn’t). None of that here. It felt a lot less intense. Everything was calm. It was just a normal tour. You still wouldn’t do anything stupid, but there was almost no pressure put on us. In a strange way I actually felt safer here than I did on the South. I guess propaganda always comes from both sides in a war. In North Korea they have a saying: Pyongyang isn’t a city with many parks. 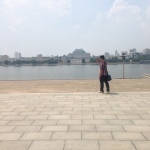 It is a city inside a big park. So after a day of looking at monuments and statues we went to Kaeson Youth Park. 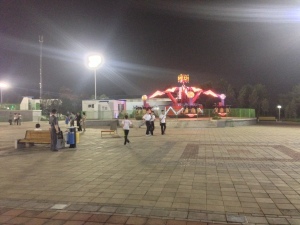 Kaeson Youth Park is a popular amusement park in Pyongyang. 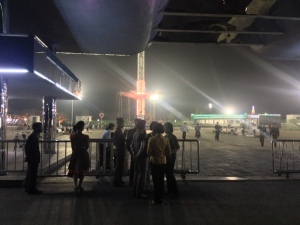 It has several rides in good condition, including a roller coaster. Several of the locals filled the place and were clearly having a good time. Being the tourists we they let us jump the queues. Being short on time they only allowed for two rides. The first one we decided to ride was the pendulum ride. I have a shameful confession to make. 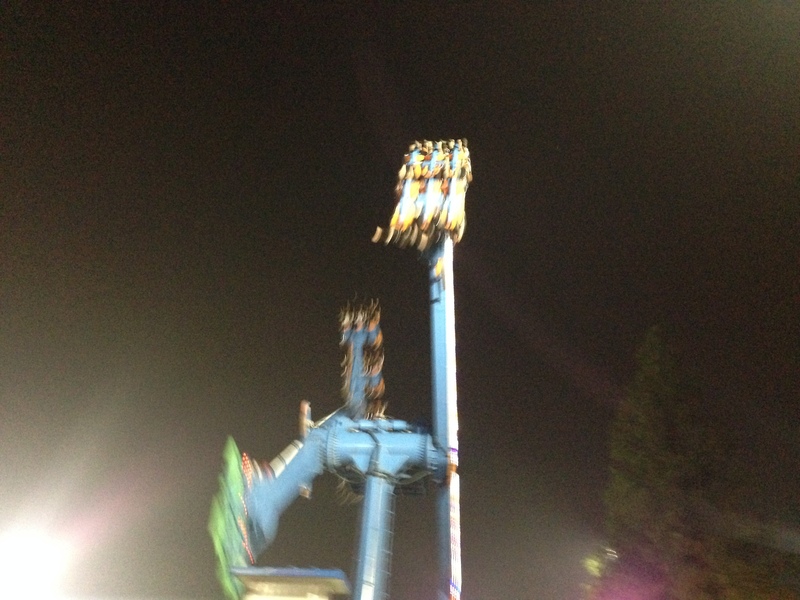 I’ve never been one for scary amusement park rides. For some reason when it comes to shaking hunks of metal hurling people along twisting and turning tracks I get a bit more than nervous. There were a couple of us that decided not to ride. I could have made an excuse and stayed with them. Unfortunately pride got in the way and forced me to ride the pendulum for the first time in my life. I actually found it quite fun and not as scary as I imagined it to be. Once it got going I enjoyed it. This mustn’t have been clear to the others though, as one person commented that I managed to turn whiter than usual. The second ride we chose was the swing ride. 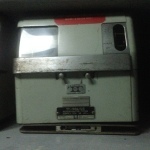 Again, this was my first time on one of these. I shared a seat with my girlfriend. Much to her amusement I did not like this one at first. Thankfully I got used to it. It was pretty amazing to be able to pick out landmarks such as the Grand People’s Study House while spinning through the air. After our second ride we headed back. 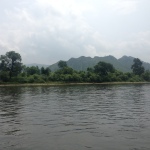 No gift shop this time, just back to Yanggakdo to drink a few beers before retiring. 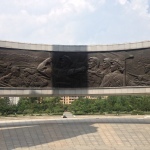 The Victorious Fatherland Liberation War Museum is a memoir of the Korean War. 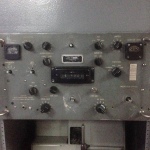 It houses various war relics, captured UN vehicles and the USS Pueblo. It is an impressive museum that unfortunately contains a fair amount local propaganda. We met our museum guide at the entrance to the museum: a young woman dressed in military garb. I’m not sure if this was for show or if she actually held rank, but I think she was military. We walked towards the entrance of the museum building as she pointed out the vehicles captured by North Korea during the war. We didn’t get close to them, but from what I could tell they were in pretty good condition. 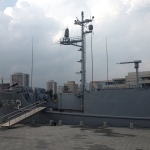 Before we went into the museum building we she showed us the USS Pueblo. 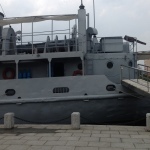 This was a US spy ship captured by North Korea in 1968 for violating their territory. 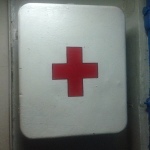 A few crew members died during the skirmish. North Korea eventually released all those captured in return for a confession from the USA. 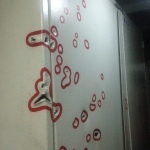 We followed our guide onto the ship and through the claustrophobic metal corridors. She showed us the shell damage from the original skirmish, circled in red so we didn’t miss them. 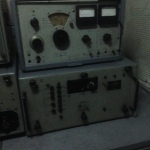 We squeezed on and passed through a room filled with the spy equipment the Americans used when the ship was active. We only saw a small part of the inside and came out the other side. It was now time for us to go into the actual museum. Unfortunately we weren’t allowed to take any pictures of this part which is why you’ll only see pictures of the Pueblo here. 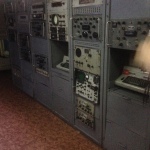 Checking out the spy equipment. 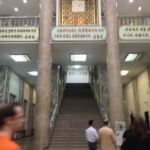 The museum lobby featured a large statue of Kim Jong-Un with elaborate staircases either side. Our museum guide led us up to the second floor. She seated us in a small area with a TV in front of us and played us a small documentary. The documentary told us how the Korean War started in the eyes of the DPRK: The USA instilled a puppet government in South Korea. Then they tricked South Korea into mounting a surprise attack on North Korea. The DPRK defended itself against this attack and took it upon itself to liberate South Korea from the USA. It was obvious propaganda, but it was interesting to see that they shifted the blame for the war away from South Korea and onto the USA. Uniting the country is still important to North Koreans which is why they never refer to the country as “North Korea”. They still see the country as one despite the war. We were short for time so we rushed through the rest of the museum. There was a lot of war memorabilia and several maps showing when certain parts of South Korea were liberated. The final show piece was a cylindrical diorama depicting the war trenches. Our guide seated us in the middle of the diorama, all facing the same direction. The show started: lights started flashing and sound effects started playing as we slowly rotated. This went on for about ten minutes, but it felt like an eternity. Personally I’d rather have seen more of the actual museum than this, but our guide seemed keen for us to see it. All we had left to do now was pass by the gift shop on our way out. 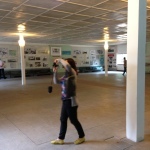 My favourite part of the our Pyongyang tour has to be the Grand People’s Study House. This impressive building houses a library of books, computer archives and music. 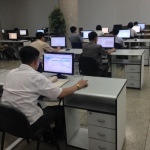 It is open to all North Koreans for study, as the state encourages constant improvement throughout their lives. When you first go into the Grand People’s Study House you enter a large marble hall. 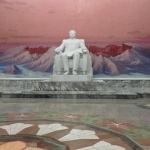 A white marble statue of Kim Il-Sung seated in a chair watches the entrance from the other side of the room. Either side of the hallway huge escalators take you up into the study house proper. Our guide introduced us to the man who would show us around the Study House. He had grey hair and seemed so excited to show off the place. He led us up one of the escalators and then took us up some more stairs to the first room he wanted to show us: a large study hall. 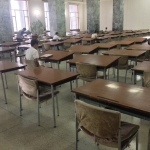 The study hall was a large room with several solo desks facing towards the front. It could have doubled as a classroom. 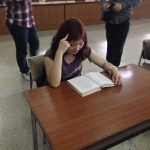 A few people were busy studying at some of the desks. On the side we entered was a collection of books in many languages which you could borrow to read and/or study from. Apart from ourselves and our energetic guide the hall was as quiet as you would expect. He then led us to the next room he wanted to show us. 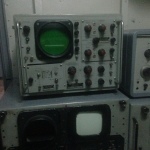 This was one of the computer rooms. The computers filling this room had operating systems that looked like Windows 3.1. Unlike the study hall, every machine was occupied. 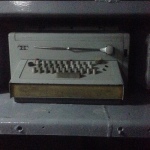 Our guide told us about the search engine that they had on these computers. He told us, “You can search for anything on them and it will show you everything they have about it.” He then “asked” one of the students for his computer so he could show us. The student was visibly frustrated as he asked each of us where we were from an entered our countries into the search engine. Each time he would point out the number of results for each country. After a few minutes of this he gave the computer back to the student and we went on to one of the music rooms. 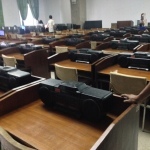 Like the other rooms there were several desks laid out, this time with CD players on each one. 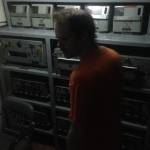 Our guide rushed over to the side of the room where he pulled one of the many CDs out. He said, “now I will play my favourite song!” It turned out to be a Beatles album and the song he put on was “Hey Jude”. This man is North Korean and his favourite band is one of my favourite bands. From the city where most of my family was born. This just seemed crazy to me. No matter how far you travel you will always find some connection to home. This was one I was not expecting. Although the fact that he likes one of the most famous bands ever probably shouldn’t have been that much of a surprise looking back on it. After listening to a couple more songs he took us out to the balcony. 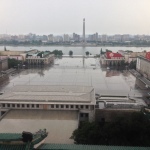 From here we got a great view of Kim Il-Sung Square. After taking advantage of the photo op we headed back to our bus. We took the exit through the gift shop, of course. 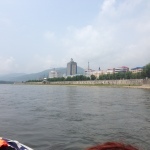 The Tower of the Juche Idea, a.k.a the Juche Tower, sits on the opposite side of Taedong river to the Kim Il-Sung Square. 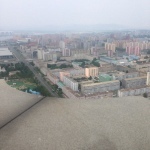 The tower is named after the ideology of Juche – a philosophy created by Kim Il-Sung. This is North Korea’s flavour of communism, mixed with self-sufficiency, nationalism and traditionalism. 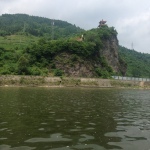 We were first shown the outside of the tower where we could wander down to the bank of the river. 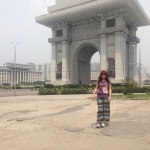 In front of the tower is the Worker’s Party Monument. This is a sculpture consisting of three statues. Each statue shows the three main parts of society: intellectuals, farmers and workers. The intellectual holds a writing brush at the back, the farmer holds a sickle in the middle and the worker holds a hammer in front. Our Korean guide explained that the worker was in the front because they were the most important when they built the sculpture. Now, he said, it’s the army that is most important. Afterwards we went inside the tower. 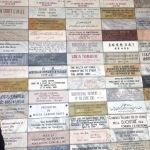 The first thing you see when you go into the tower is a wall full of plaques. 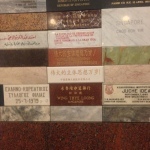 Each plaque is from a different country’s Juche study group offering their support for the Juche Idea. We played the game of finding our own country. Can you spot your country? Inside the tower there are a few paintings and photos of the Kim’s and a gift shop. You can pay to take an elevator to the top, and I recommend that you do. 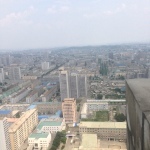 The tower’s position gives a great view of Pyongyang. 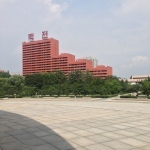 You can see Kim Il-Sung Square and the Grand People’s Study House. 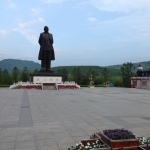 You can also spot the statues of Kim Il-Sung and Jong-Il. 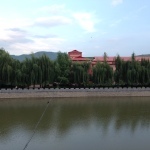 In the distance you can see the unfinished Ryugong Hotel. I noticed from the top were that the buildings behind the tower were symmetrical. 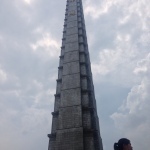 This was no accident: the Koreans had planned this to make the tower look even more impressive from the other side. We descended the tower and made our way to the bus, but not before stopping off at the gift shop of course. 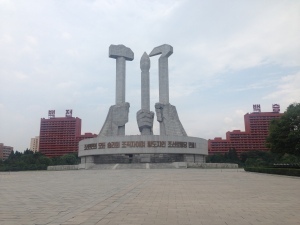 The Monument to the Party Founding is perhaps the most well-known monument in the DPRK. Everyone who knows anything about the DPRK has seen a picture of this monument. 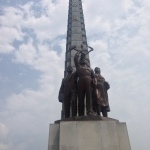 The monument, as its name indicates, commemorates the founding of the Korean Worker’s Party (or KWP). 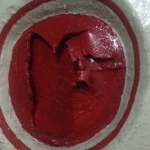 It consists of three giant hands holding the symbols of each member of society: writing brush, sickle and hammer. These represent intellectuals, farmers and workers. 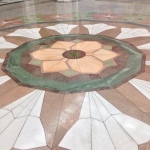 Connecting the hands is a circle to represent unity. 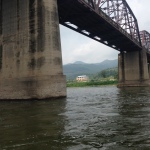 Unity is a common theme running throughout everything we saw in North Korea. I saw similar rhetoric in places in South Korea. It seems both governments say they want unity, although I’m not sure I believe either of them. 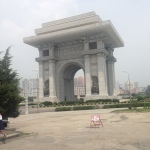 When I first laid eyes on the monument I felt that I had finally ‘done’ Pyongyang. 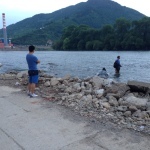 Apart from the Mansudae Grand Monument this is the thing that defines Pyongyang (to me at least). And just like the statues at Mansudae this thing was a lot bigger in real life. A local guide showed up and she took us the inside of the monument. I never realised that inside the monument were murals depicting the history of the KWP. 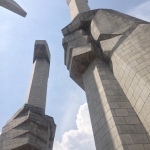 I noticed that in a similar way to the Tower of the Juche Idea, the buildings flanking the monument were symmetrical. 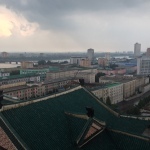 This seems to be the way that the DPRK designs places in Pyongyang and it makes the city look a lot more impressive. So with our pictures taken we headed back to the bus to find out what the next step in our tour would be. 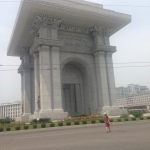 When we came out of the subway we were right next to Pyongyang’s own Arch of Triumph. 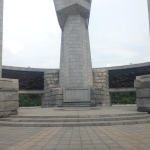 Korea built it to commemorate Korea’s resistance to Japan between 1925 and 1945. They modelled it after Paris’ own Arch of Triumph and everyone knows that this one is bigger. Yet not everyone knows that this is only the second biggest in the world. That title belongs to the Monumento a la Revolución in Mexico City (I guess that’s another item added to my bucket list). 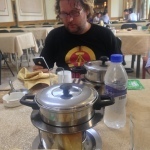 Our bus took us to a hotpot restaurant somewhere else in Pyongyang. 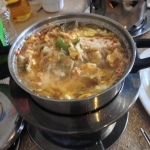 Korean hotpot was originally eaten out of helmets during the Korean War. At the time it probably followed the same recipe as my Grandad’s Scouse: whatever you can find throw it in the pot and boil it. 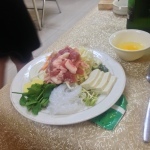 Nowadays it consists of ramen noodles, egg, vegetables and meat. 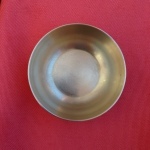 We each got an individual pot and our guides showed us which order to throw the food in. 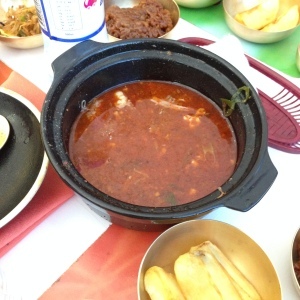 Once it was all cooked we got to eat my favourite Korean dish of all time.